Another clear day greets us as we start today’s hike. 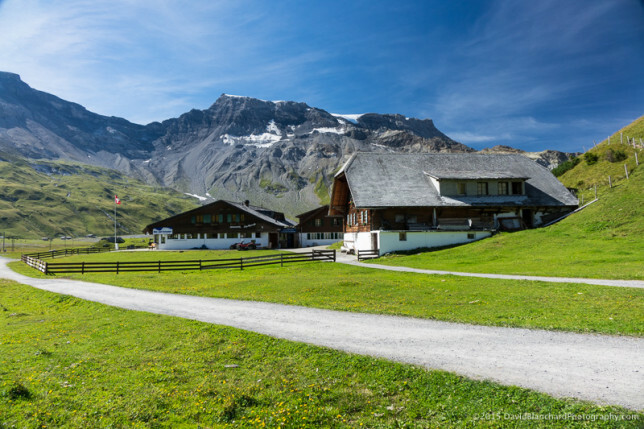 We walk from OurChalet towards Engstligenalp, the largest plateau of the western Swiss Alps. A ride on the cable car takes us from the valley floor at 1400 m to the plateau at 1964 m. The trail below the cable car looks steep so I’m fine with the vertical assist. 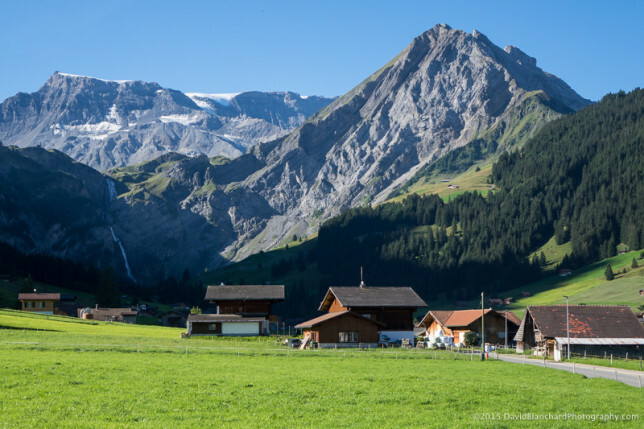 We’re headed towards Engstligenalp located above the waterfall. At the top we break into several smaller groups; our group sets off towards Tschingelloctighorn summit. 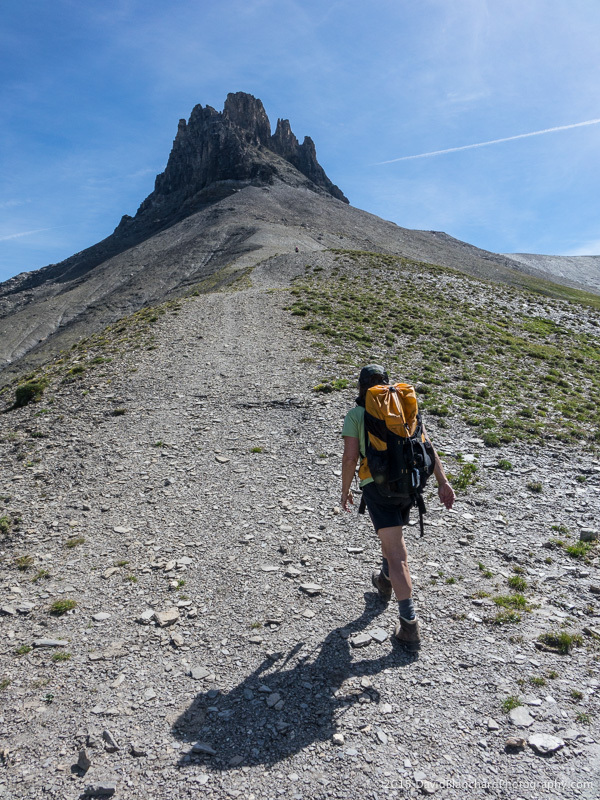 The trail approaches but does not climb to the summit of this peak. 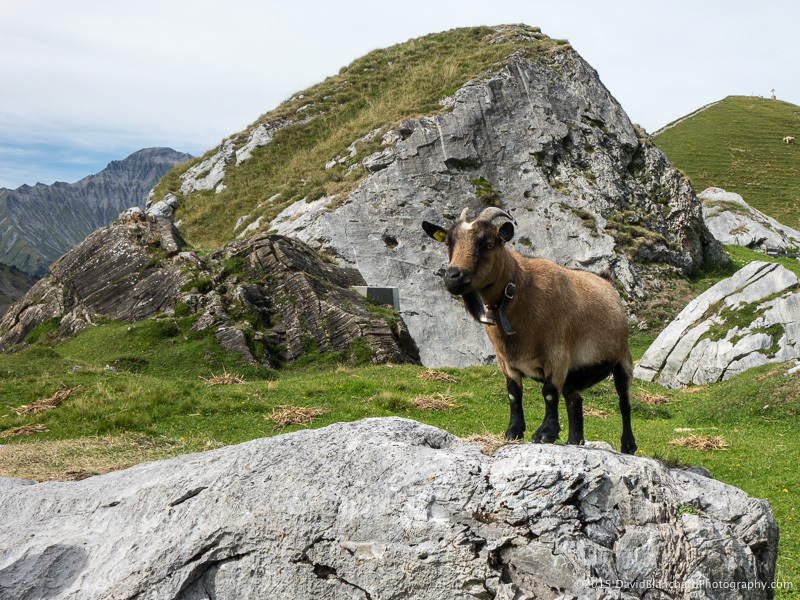 The summit rock is rough and broken and the trail skirts around the peak attaining 2632 m, while the summit is 2735 m.
Brilliant blue skies and green grass greet us at Engstligenalp. 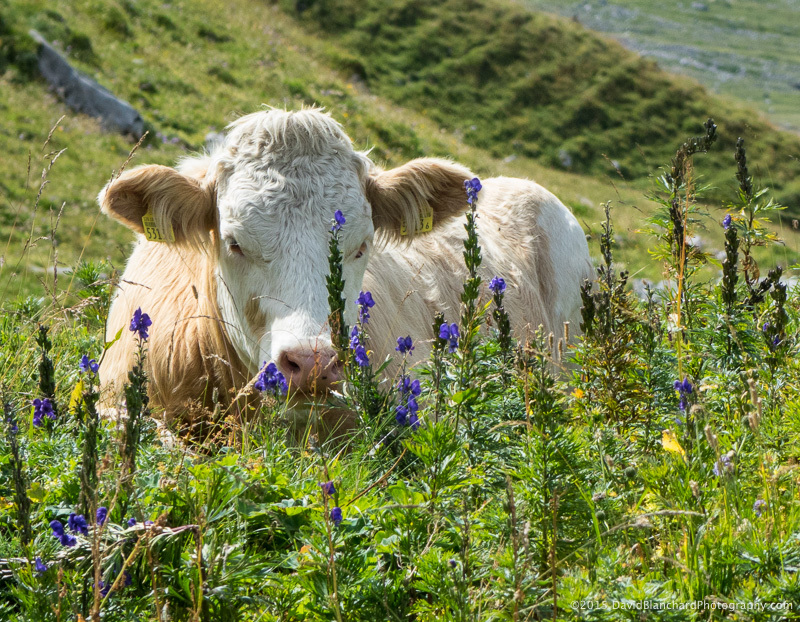 A leisurely lunch is spent here before heading south along the ridge towards Chindbettipass. 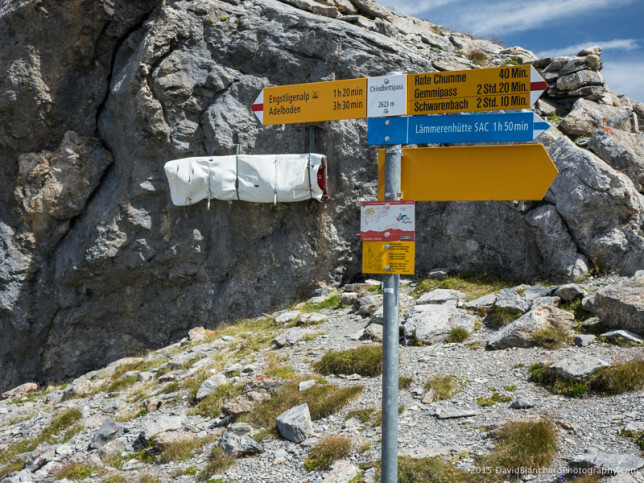 Here, the “Trans-Alp” or “Via Alpina” trail is encountered; it is one of the longest in all of Europe spanning ~5,000 km and seven countries. I’m intrigued to note that there is a rescue stretcher attached to the rock wall at this pass. I guess having the stretcher already in place saves time when there is an emergency. A “pre-positioned” rescue stretcher attached to the rock wall. 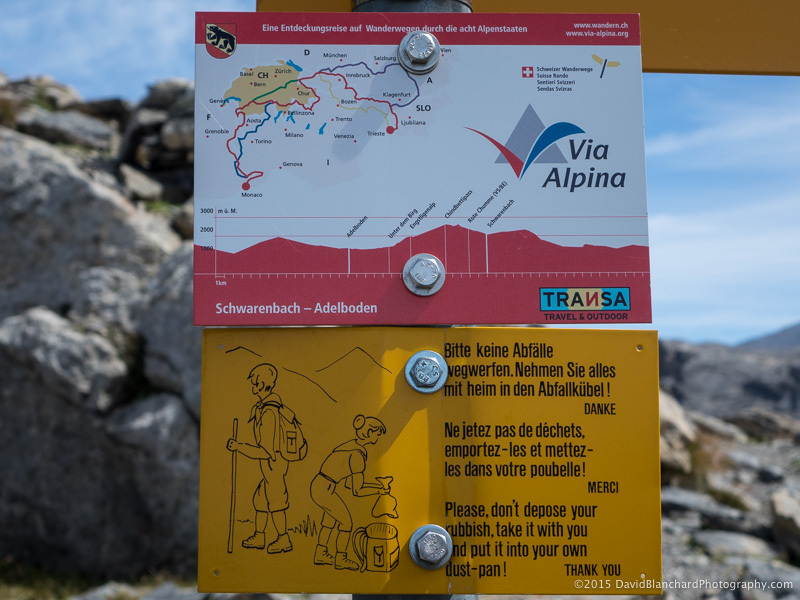 Signs for the “Via Alpina” trail. 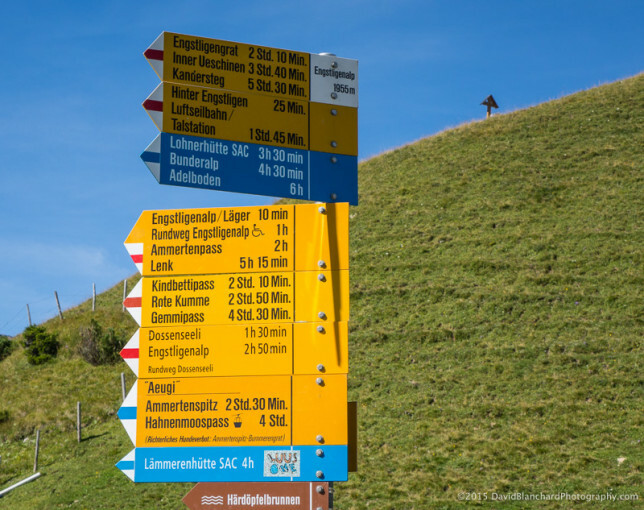 Then it’s time to head down, down, down on the steep trail back to the broad alluvial plain (“Läger”) before taking the Bergbahnen to the lower valley. 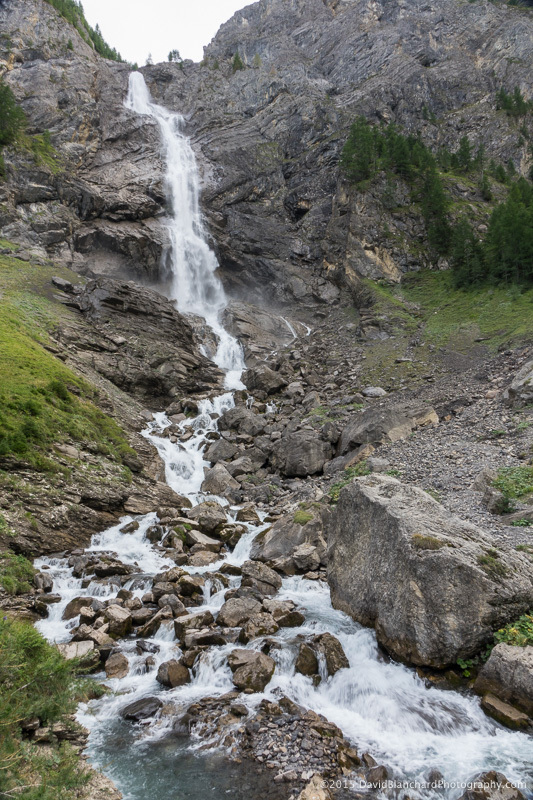 A few of us take a side trip to the base of Engstligen Wasser fälle, the second highest falls in Switzerland. Very nice! Lower section of Engstligen Wasser fälle. It’s still a long—and warm—walk back to OurChalet. 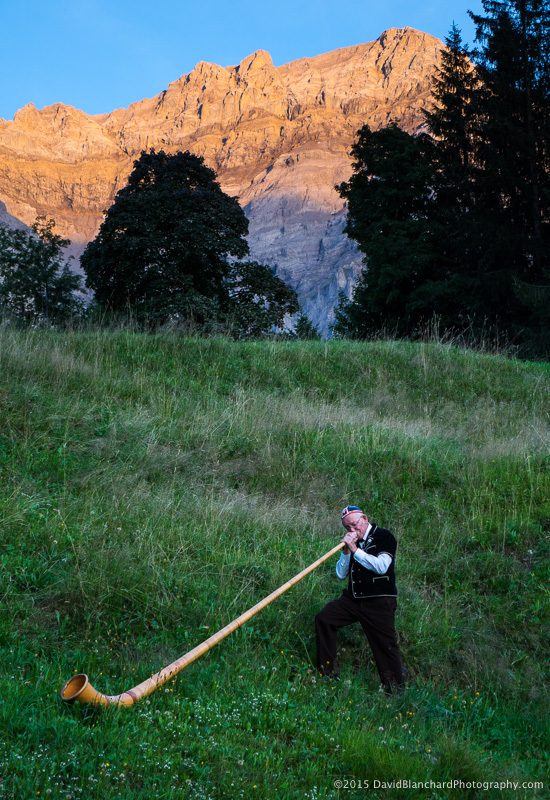 The different groups staying at OurChalet participate in a “Swiss night” with a quiz testing us on our knowledge of Switzerland followed by music from the alpenhorn.